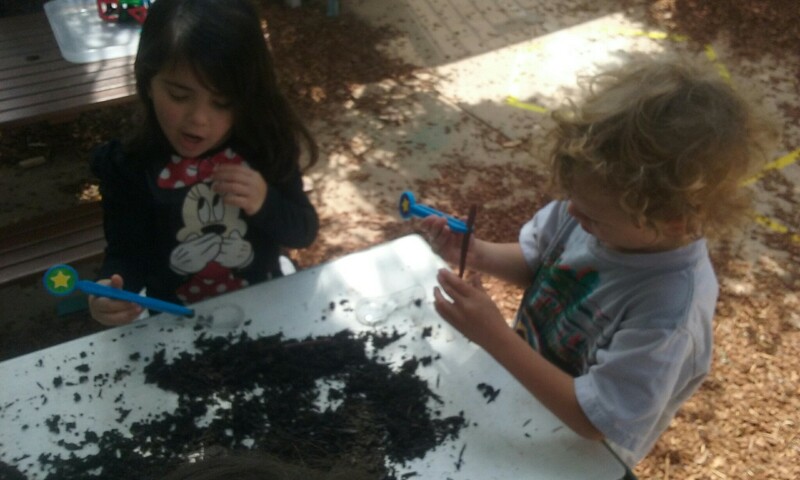 When your little ones came to school for this activity, they found worms on the water table for some viewing. 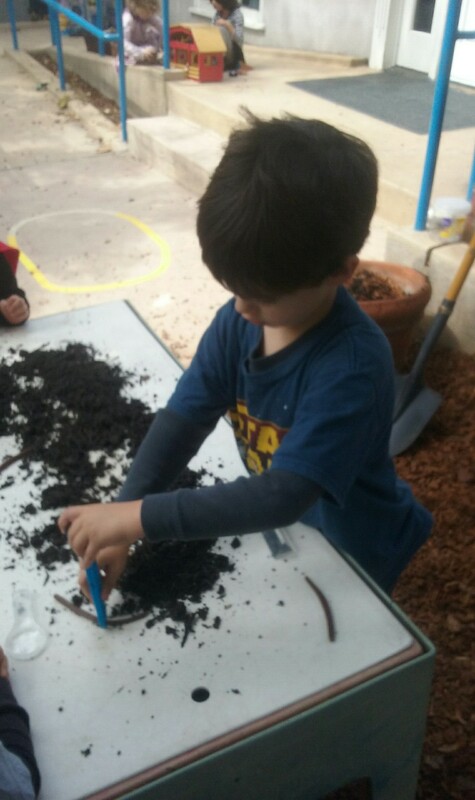 I propped the lid up onto the water table and sprinkled it with soil and plastic worms. 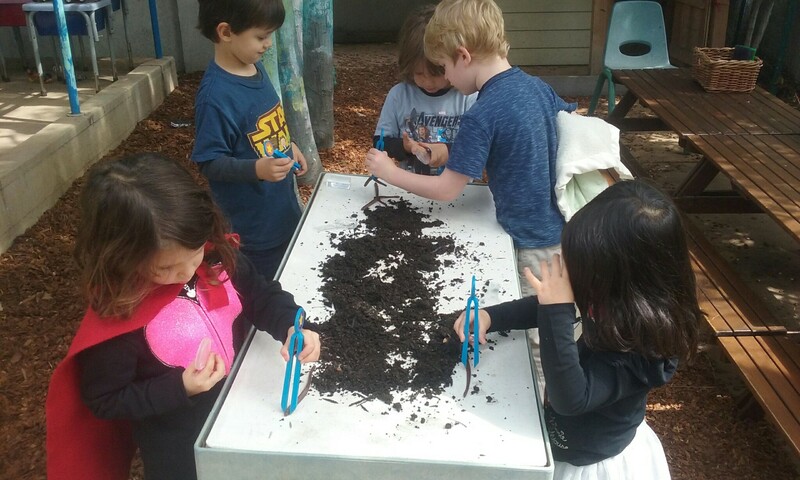 Students used magnifying glasses to watch the wiggly worms and large tweezers to observe them more closely. We then used small notebooks to make observations about what they looked like. First, we talked about their segmented bodies. Then we sang a song called W is for Willy, Who Is a Worm. 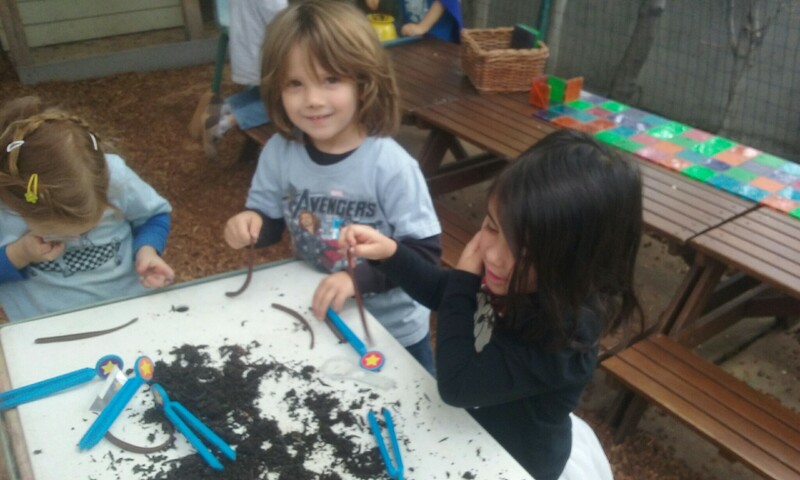 Following that, we practiced our observation skills by posing the worms in various positions that we thought may help them eat, sleep, and wriggle around. Some children created little hills for them, others placed them underneath the dirt, and others thought they would enjoy going inside the water table. Through observation and documentation (recording what they see), your child is learning to make associations and differentiate between how things look and act.